I have been scrapbooking for a very long time and enjoy all forms of paper crafting. I would love to help you create too! 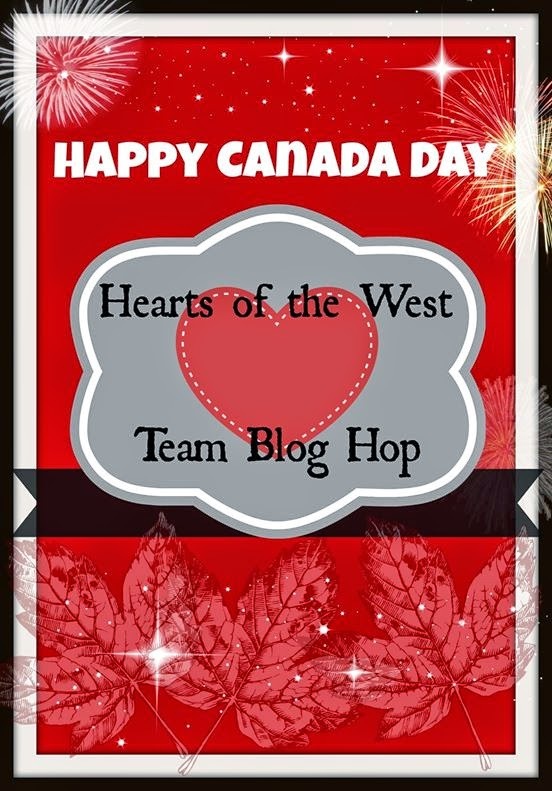 Welcome back to the Hearts of the West team blog hop July edition! If this is your first time joining us you will love it. 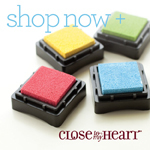 It features Close to my Heart consultants from the Hearts of the West and team members from all over Canada and is founded by Nancy Klein. This month's challenge is a celebration of our beloved Country's Birthday! A fun little fact...Canada is turning 147 years old. This month our challenge is using red and white. This month is a challenge for sure, we are able to use the basic color pallet for accent colors. Grab your coffee, sit down and join us on a journey of creative paper crafts from the Heart! If you came from Julie Kerr's Blog You're in the right place, this is a go around blog so you can start anywhere you'd like. The full list is at the end in case. I created the card base from White Daisy cardstock. I used the Free to be Me paper pack for the B&T paper and the red cardstock. I stamped only with Ruby ink. The sentiment is colored using the cranberry, holiday red and citrus leaf water color pencils. Everything else used is pictured below. Thank you for joining us this month and we all look forward to next month's challenge. We all enjoy your comments and questions, show your love and leave one for us....Contact your local consultant for any of the products shown, or to join us. Your welcome here! 10. Anna Miller - You are here! Love the use of the embellishments, very pretty!! What a fun card! Love the flower border. Pretty and cute at the same time! I also love the flower border!! im in love with your card! It is so my style, thank you for posting it!! love your card!! love the background paper!! I love that paper!! Great card!